Antoni Gandia (Xàtiva, 1986). Biotechnician and fungicultor. As a biotechnician I am capacitate to work in a wide variety of industries, including horticulture, pharmacology, healthcare and technology. My interests are primarily scientific research, teaching and assistance, I can provide support to biologists and other scientists in the lab and the field. My work focuses on the study of living organisms and education. Through experiments and research I can help to discover and understand new approaches to heal people and ecosystems, improve agricultural productivity, as well as develop new bioprocesses and technologies. Between all the paths and fields of the biological sciences I have made the choice of study the fungi. These organisms are used in many processes, such as the production of enzymes, vitamins, polysaccharides, polyhydric alcohols, pigments, lipids, and glycolipids. Some of these fungal products are produced industrially in high-tech installations while others are obtained through more traditional methods. 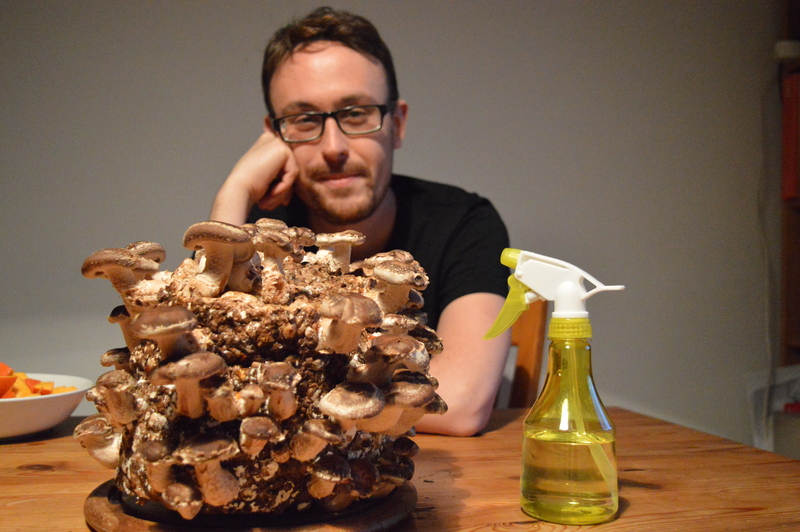 By obvious reasons, the fungus kingdom is potentially valuable in biotechnology and in our kitchens… mushrooms are delicious! As it is shown in many peer-reviewed magazines and journals, the fungal secondary metabolites are extremely important to our health and nutrition and have tremendous economic impact worldwide. In addition to the multiple reaction sequences of fermentations, fungi are extremely useful in carrying out biotransformation and molecular pharming processes. These are becoming essential to the fine-chemical industry in the production of single-isomer intermediates. Recombinant DNA technology, which includes yeasts and other fungi as hosts, has markedly increased markets for microbial enzymes. Molecular manipulations have been added to mutational techniques as a means of increasing titers and yields of microbial processes and in the discovery of new drugs. Today, fungal biology is a major participant in global industry. Moreover, the best is yet to come as genomes of additional species are sequenced at some level (cDNA, complete genomes, expressed sequence tags) and gene and protein arrays become available.